In recent years, historical witnessing has emerged as a category of "museum object" in the form of audiovisual recordings of interviews with individuals remembering events of historical importance. Such testimonies are now not only are part of the collections and research activities of museums, but they have become important components in narrative and exhibit design strategies. 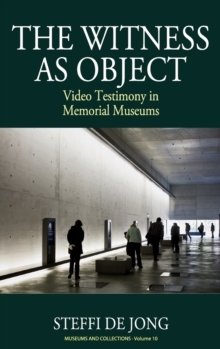 With a focus on Holocaust museums, this study scrutinizes for the first time the new global phenomenon of the "musealisation" of testimony, exploring the processes, prerequisites, and consequences of the transformation of video testimonies into exhibits.